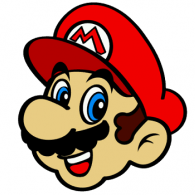 I joined RetroMags in hopes of finding an interview from a 2004 issue of Nintendo Power in which Nate Bihldorff discussed the process of localizing Paper Mario: The Thousand-Year Door. I know that I once owned the issue in question but haven't been able to find my copy, so I would be tremendously grateful if someone familiar with the interview I'm describing could share scans with me or at least point me in the right direction to find the magazine in the database. Thank you! November 2004, maybe? Paper Mario is the cover story and according to the synopsis here at RetroMags, the game is covered in the issue's Special Features section. No scan is currently available, unfortunately.